Back to reality already! 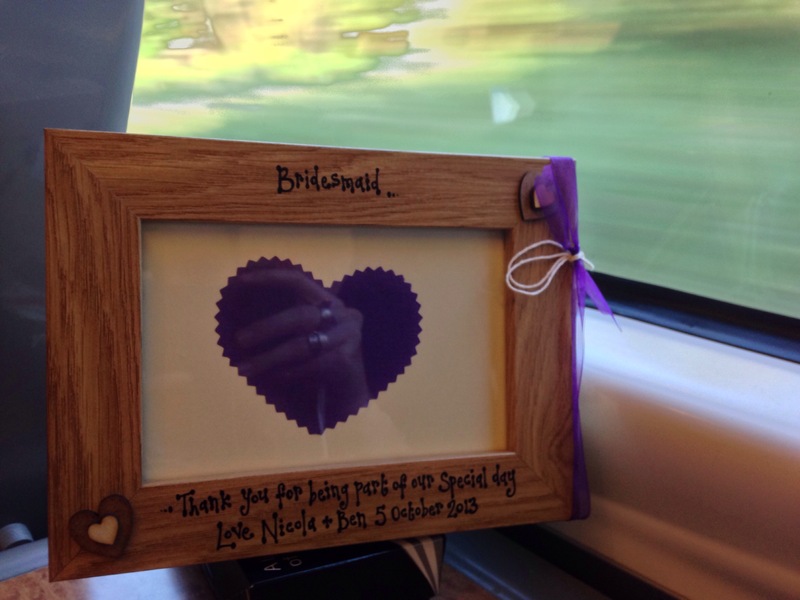 On the train home to London, clasping onto my beautiful present from Nicola for being one of three bridesmaids. I think it’s gorgeous, and such a kind thought. It’s a shame the weekend is already over, but it was such a wonderful opportunity to spend time with all of my family.